Based on the music of melancholy that inhabits the shadows of the paintings of Montmarte by the French artist Maurice Utrillo, Domenico de Clario’s exhibition of paintings at John Buckley Gallery in Melbourne is a major achievement. 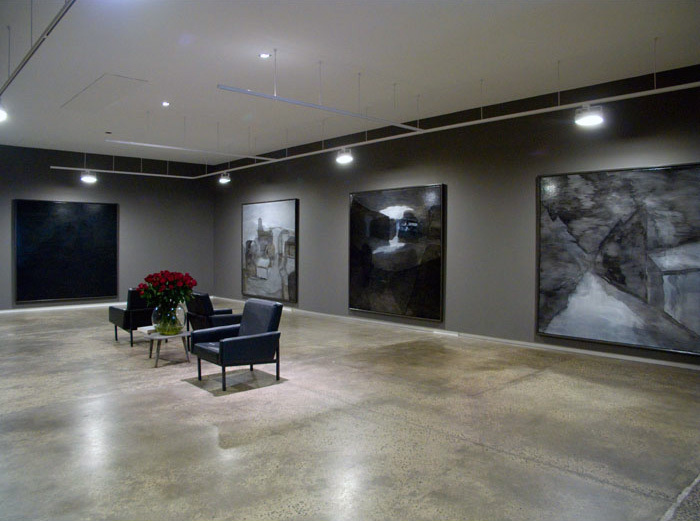 This is a superlative exhibition of focused, resonant work beautifully and serenely installed in the gallery space. 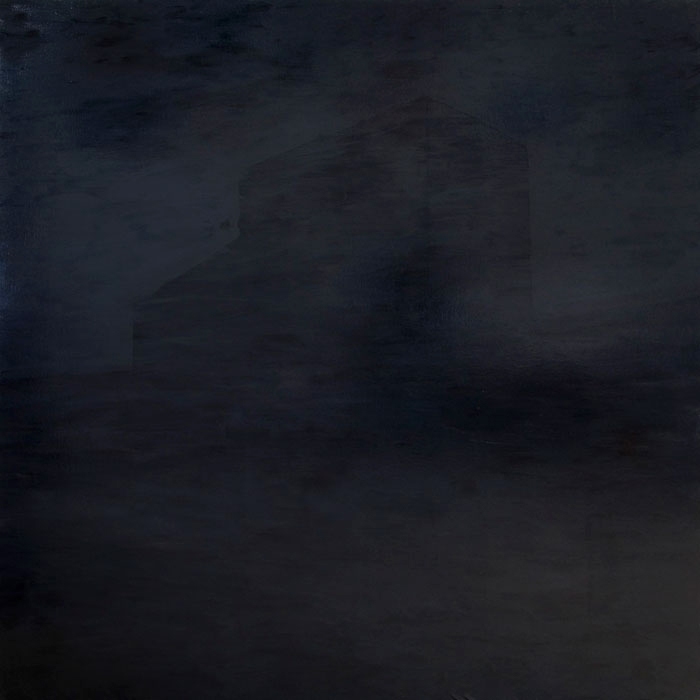 The exhibition features seven small and seven large oil and acrylic on canvas paintings that envelop the viewer in a velvety quietness, an intense stillness accompanied by ambient music composed by de Clario himself. 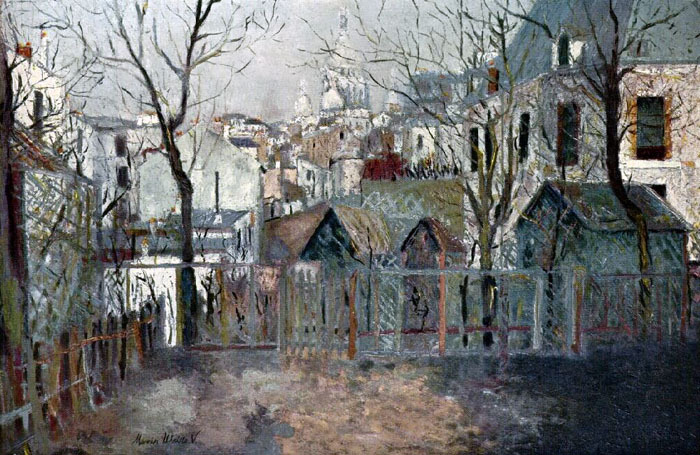 All fourteen paintings are reinterpretations of works by Utrillo picked at random by de Clario that strip away surface matter to reveal the shadow substance that lays at the anxious heart of Utrillo’s meta/physical body of work (Utrillo was an alcoholic at fourteen and spent numerous periods in sanatoriums). When de Clario was fifteen he was fascinated by a small book on Utrillo and found that his paintings reminded him of his childhood, growing up in the town of Trieste. Recently he noticed that the word ‘triestement’ was used to mean, essentially, an investigation of sadness, of melancholy and started an investigation into the life and work of Utrillo. From this dialogue the paintings for the exhibition have emerged as de Clario found the ‘more is’ of Utrillo, the anima of his presence within the work. 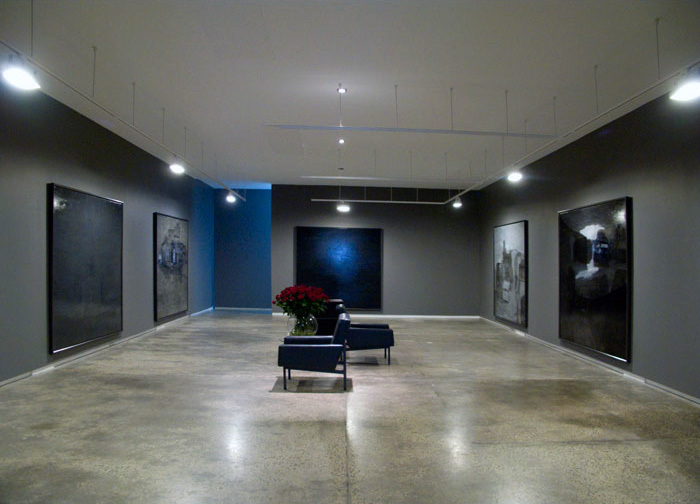 The small abstract paintings (such as renoir’s garden, above) are dark and miasmic, vaporous emanations of atmosphere that contain traces of Utrillo’s lifelong battle with the black dog but it is the seven large paintings facing each other in the main gallery space that are at the heart of de Clario’s project. They are magnificent. 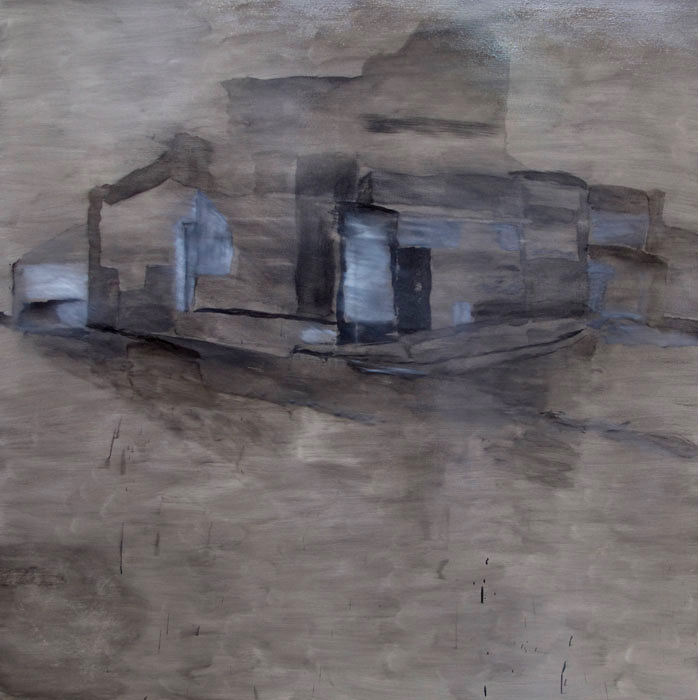 Painted in a limited colour palette of ochres, greys and blacks the works vibrate with energy. Cezanne-like spatial representations are abstracted and the paint bleeds across the canvas forming a maze of buildings. Walls and hedges loom darkly over roadways, emanations of heads and figures float in the picture plane and the highlight white of snow hovers like a spectral figure above buildings. 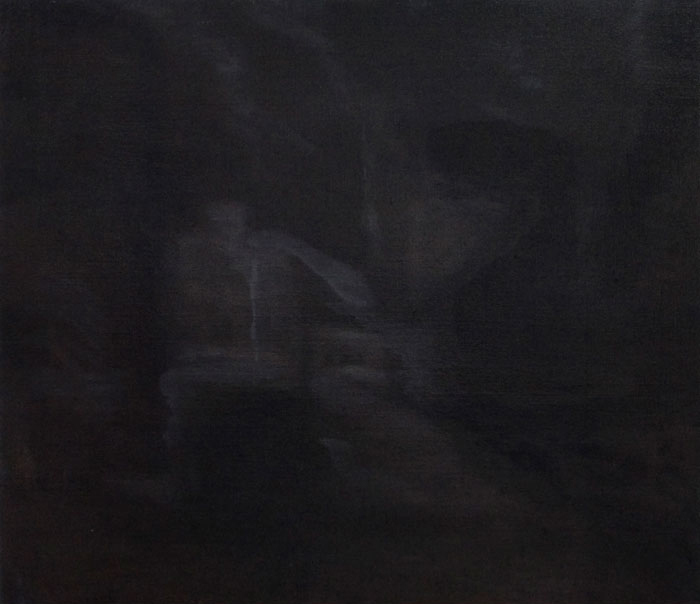 These are elemental paintings where the shadow has become light and the light is shadow, meanderings of the soul in space. 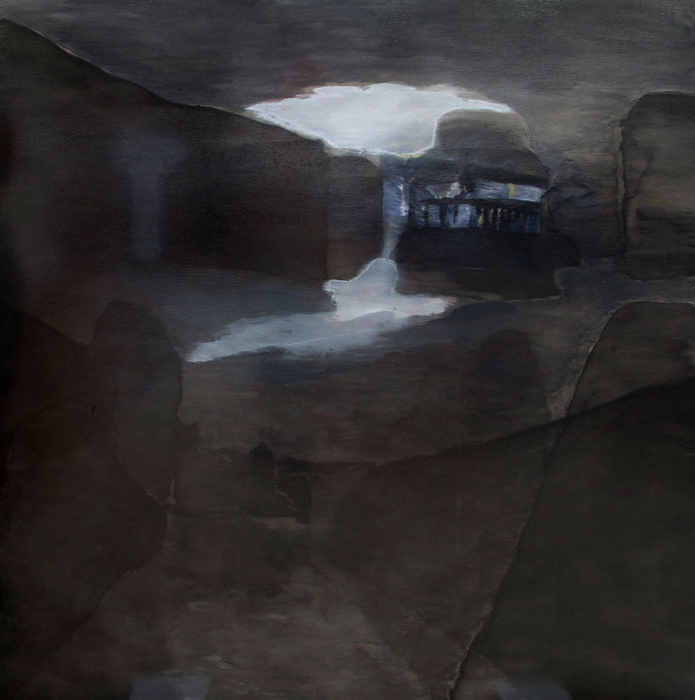 In the painting i (the house of hector berlioz – night) below, the single dark line of the house rises from the plain; the shadowy haze of recognition sits in the subconscious like the trace of our own mortality. 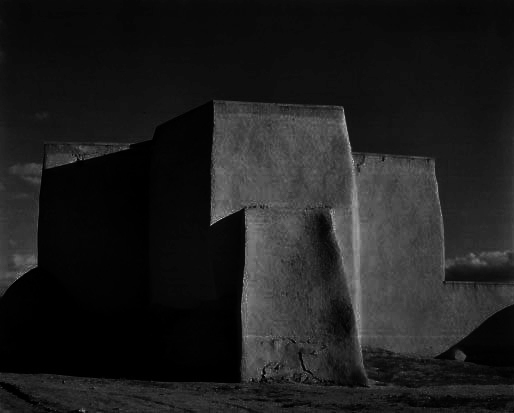 My mind made an association with the modernist photograph by Paul Strand of the church at Taos with the looming bulk of the ramparts: it’s funny how things just click into place. 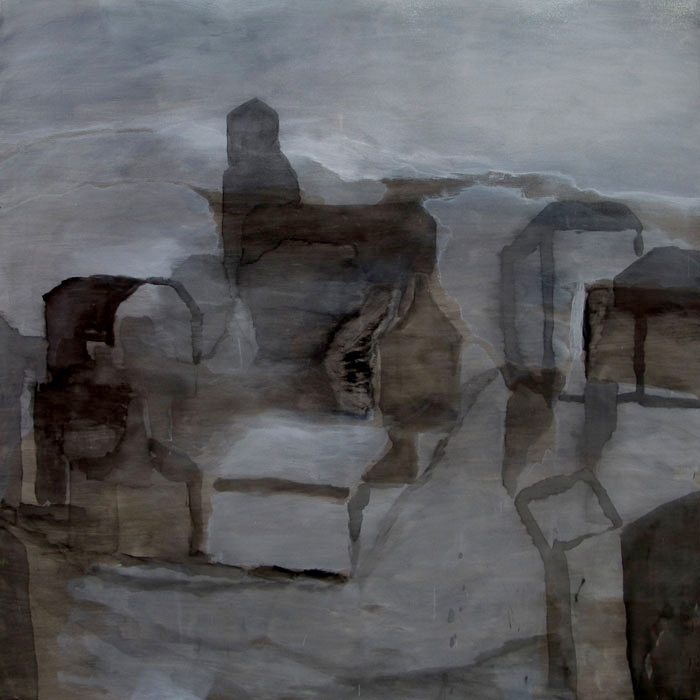 To paint these works de Clario was open and receptive to the idea of the letting go. In the wonderfully erudite catalogue essay he says he felt like he was standing under a waterfall experiencing the joyful bliss of substance, material, surface, shadow, blandness, light, plenitude and triestement while acknowledging that he could never capture them and that their value could only be fully understood once he abandoned any thought of possessing them. Like Seamus Heaney in the quotation above, de Clario experienced the glimmering in chittering light, the possible revelation in the light behind the drizzle (of the shadow) and he then paints the trace of Utrillo’s subconscious anima, the indecipherable look of his triestement. 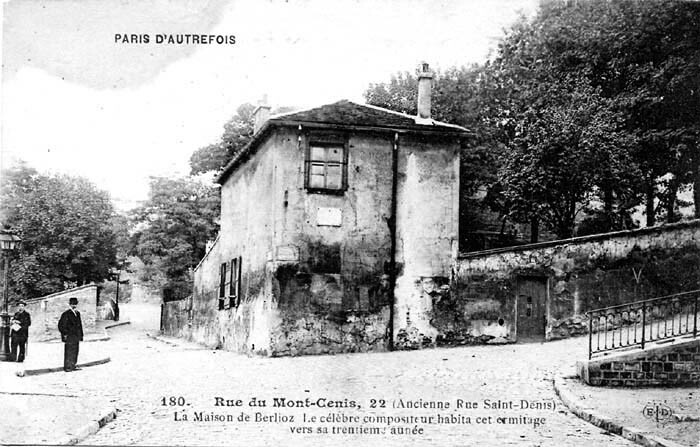 de Clario feels the fluid relationship between substance and appearance; he understands that Utrillo is embedded in the position of each building and stone, in the cadences and rhymes of the paintings of Montmarte. 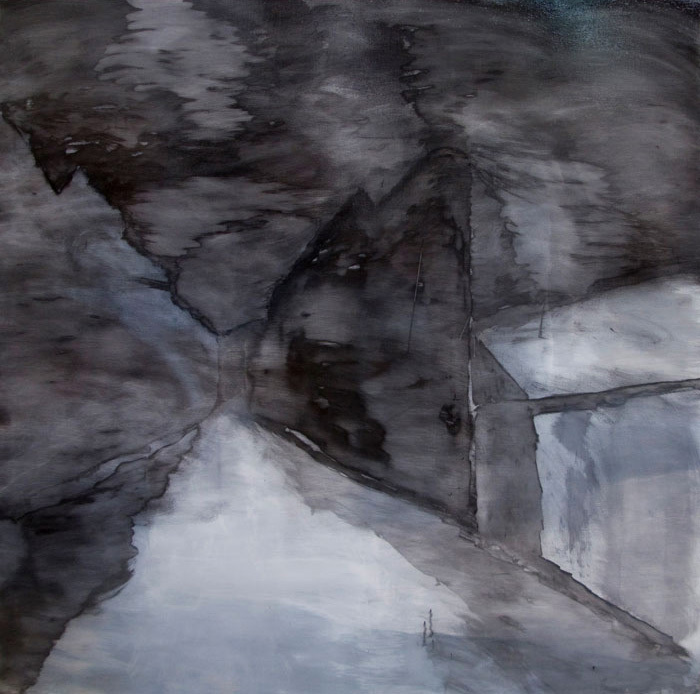 de Clario interprets this knowledge in a Zen like rendition of shadow substance in his paintings. Everything has it’s place without possession of here and there, dark and light. For my part it was my soul responding to the canvases. I was absorbed into their fabric. As in the dark night of the soul my outer shell gave way to an inner spirituality stripped of the distance between viewer and painting. I felt communion with this man, Utrillo, with this art, de Clario, that brought a sense of revelation in the immersion, like a baptism in the waters of dark light. For art this is a fantastic achievement. Highly recommended. Please click on the artwork for a larger version of the image. Heaney, Seamus. The Redress of Poetry. 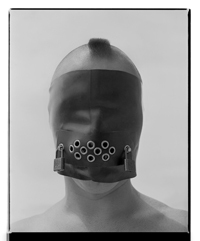 London: Faber and Faber, 1995, pp. 107-108. “Is there any limit, I thought, to the kinds of shadows that might be transmuted into light? And is this because the key component of the nature of shadow is its deep longing for a transmutation to light? 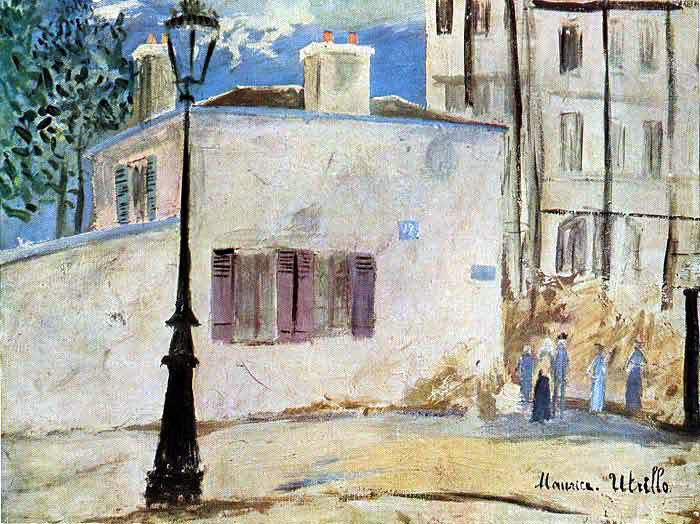 Utrillo must have believed that the outer world of coloured light belonged exclusively to others, for he never succeeded in releasing himself from the dark inner shadows that engulfed him. Though he struggled much to reach the light he accepted shadow as constituting his world and worked ceaselessly to offer us images that reflected this side’s plenitude. 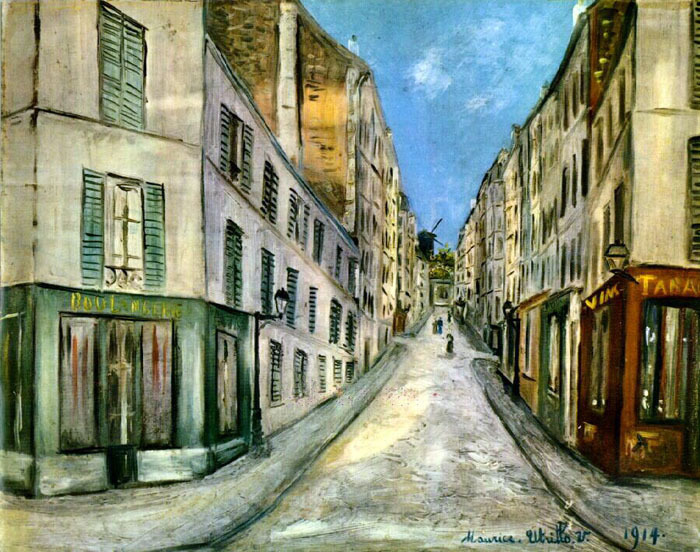 For the purposes of this present project I believe that the shadow substance laying beneath the architecture of Utrillo’s streetscapes existed within the artist long before his paintings came into being. This non-substance generated the appearance of matter on the paintings’ surfaces and more significantly it gradually came to contain the spirit of his Montmarte-body. The process of removing matter results in an obvious absence of substance but paradoxically this leads me to feel that here, under all this discarded visible matter, an invisible substance that has always contained more than matter awaits to be revealed. This leads to the provisional conclusion that the primal trace of normally unseen shadow is far richer than any material constituting appearance, containing as it does infinitely more substance than appearance.